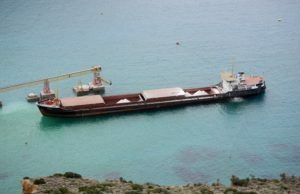 Russian Government added seaport of Magadan into a list of ports, where will be permitted arrival/departure of ships carrying nuclear materials, radioactive substances and products containing them. The decree N1288 of 22/06/2016 was officially released yesterday and follows the recent developments into the port infrastructure and warehousing. The Port of Magadan passed long inspection from the Russian safety and transport committees and now is among the few ports in Russian Far East, which can handle ships with nuclear cargo. 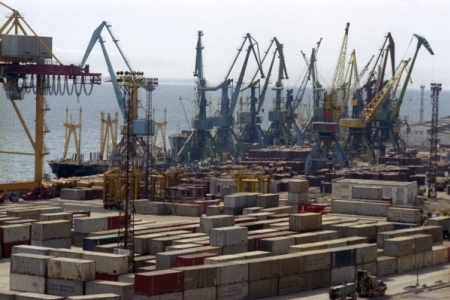 Currently the list of Russian seaports accepting ships carrying nuclear materials, radioactive substances and products containing them are: Archangel, port of Bolshoi Kamen, Vladivostok, Vysotsky, port of Dixon, Dudinka, the Caucasus (Krasnodar region), Kaliningrad, Kandalakshinsky (Kandalaksha), Murmansk, Magadan, Pevek, Provideniy (Chukotka), St Petersburg, Taganrog (Rostov region), Ust-Luga (Leningrad region), East (Primorsky Krai), Nakhodka (Primorye) and Kholmsk (Sakhalin region). Sea Port of Magadan is a maritime port in the city of Magadan, Russia, located in the Nagaevo Bay on the northern coast of the Sea of Okhotsk. The port has 13 berths, of which three are for oil products, two are for container terminal, and eight for other goods.